Therapeutic Axis is an initiative of practicing therapists who know the difficulties of starting a private practice, and are committed to facilitating the process for others. Therapeutic Axis is a centre of excellence for Counselling, Psychotherapy and Complementary Therapies. The facility has six consulting rooms shared by practitioners of various modalities, many of whom practice on a part-time of full-time basis. We invite new and established therapists to become members of a syndicate of professionals practicing at the centre. This is a unique opportunity for newly trained therapists to capitalise on their investment in training, and for experienced professionals to expand their practices. You can build your practice at your own pace, while minimising the risk and investment typically associated with starting private practice. 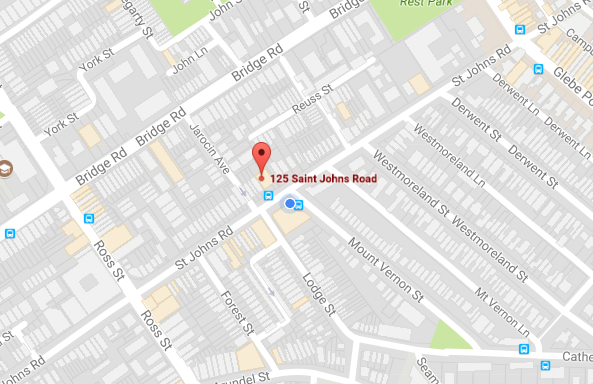 Located on St Johns Road in Glebe, the office is a short distance from the CBD. Numerous cafes and restaurants are located on Glebe Point Road, a short walk away. On-street parking is always available nearby. A bus stop for the 470 bus to and from Central Station is right outside the front door. A merchant facility is available to members for receiving debit card or credit card payments from clients. These may be paid directly into your nominated bank account or, for a lower start-up cost, paid into Therapeutic Axis’ account and then forwarded to your account after a delay. A cash till facility is provided. The hicaps facility provides for practitioners to do on the spot rebates for both Medicare and Private Health. If you are looking to expand your practice you may be interested in joining our Referral Programme. We have a client-centred, mutually beneficial and responsible system of client referrals. The offices are populated with like-minded professionals. The practice provides a supportive and enriching environment for practitioners. There is an active referral network within the syndicate. Access to relevant books and journals is facilitated. Scheduling can be done through reception during business hours. Access is available for those practitioners with appointments outside business hours (early, late or weekends). The facility is secure, with combination locks and security agency monitoring of out-of-hours movements. The most attractive feature of the centre is the fee structure for members. The shared facilities allow practitioners to join our practice, in a highly professional environment, while obviating the need for up-front investment. After a modest monthly membership fee, facilities are charged on a very reasonable per-client-hour basis, which ensures that your facilities expenses always match the income you derive from them. At any level of use, the cost is less than that of maintaining a sole private practice with no reception or administration, and far less than maintaining one with the comprehensive features of Therapeutic Axis. One of the cardinal principles of the Therapeutic Axis practice is to facilitate the joining together of qualified private practitioners and persons needing their services. By providing a low entry point in terms of up-front investment (as well as a supportive environment), we have encouraged many practitioners to take the bold step into private practice. Some of these have used Therapeutic Axis as a stepping-stone to sole or shared private practice, while others choose to continue their lively private practice at Therapeutic Axis, as it suits them to outsource the distractions of the logistics of a business site. The best way to find out how to join our practice is to visit and tour the practice, and see the operation during a working day. Discuss business with the principals. Meet the staff. Meet some of the therapists and ask them what it’s like to practice here. Tour the facilities; ask questions and get answers. To find out more, e-mail or call (02) 9692 9788.